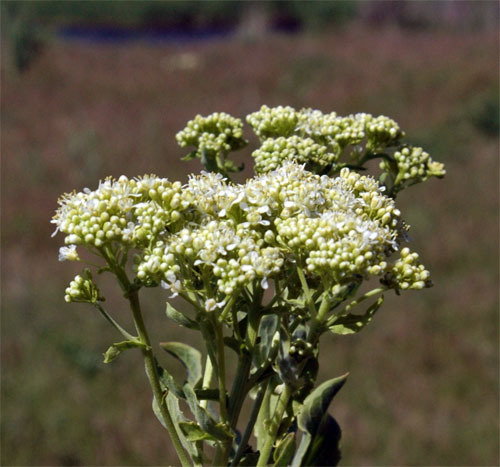 Native to Europe and Asia, it is believed that hoary cress was introduced to North America by European settlers in the late 1800s as a contaminant in grass and alfalfa seed or ballast water of ships. 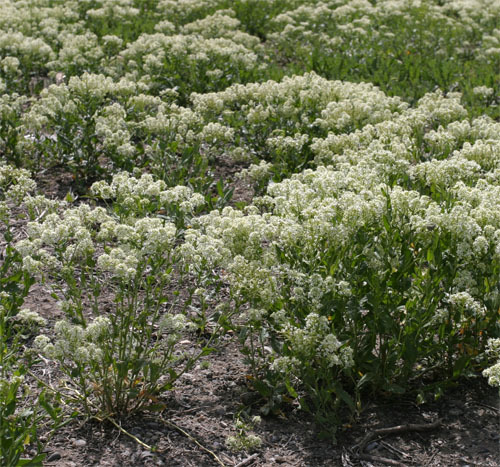 Heart-podded hoary cress can invade open grasslands and form dense monocultures. It is also toxic to livestock. 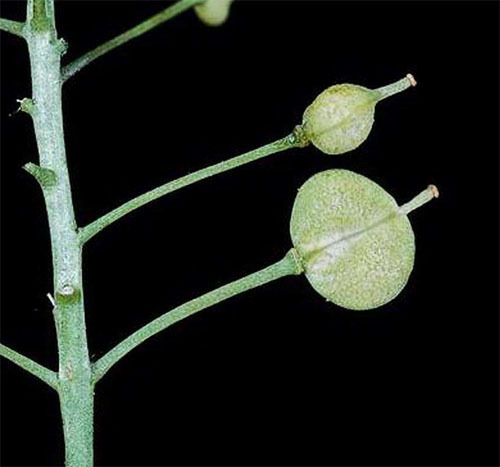 Heart-podded hoary cress has 5-8 mm wide white flowers with four petals. Numerous flowers are borne at the ends of stems in flat-topped clusters. Leaves are grey-green or blue-green in colour, elliptic or egg-shaped, and 3-10 cm long. The leaves usually clasp the stem and are covered with soft hairs. 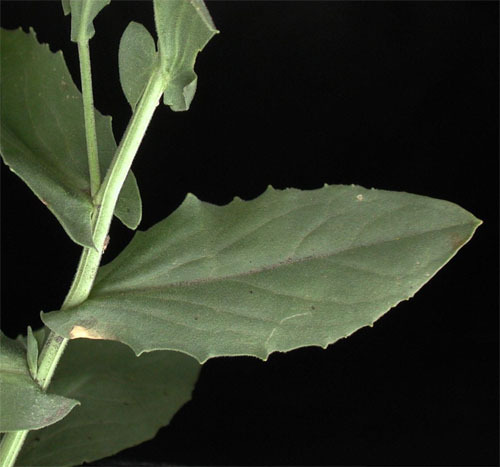 Some plants have short stalked leaves with no hairs. Most fruits are heart-shaped and flattened. Stems are erect, hairy, and grow up to 65 cm tall.